Birkdale is centrally located across from Birkdale Village, an area of fine shopping and dining in Huntersville, one of the largest towns in the Lake Norman area. Birkdale's 18-hole public golf course was designed by Arnold Palmer. Community amenities include walking trails, swimming, tennis and activities for the whole family. To view information about the Birkdale Homeowners Association, click here. Homes in Birkdale range from the $200s to mid $600s. This new urban lifestyle center features "rocking chair front porch homes" in a pedestrian-friendly atmosphere. Birkdale Village is an all encompassing community that provides living, work, and entertainment options all within the same subdivision. Approximately 350 homes are located within a short walking distance to the area’s premier shopping, dining, and recreation district. To view information about the Birkdale Village homeowners association, click here. 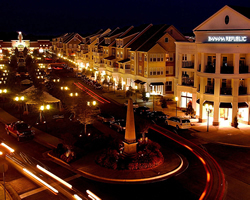 To view information about shopping, dining and recreation in Birkdale Village, click here. 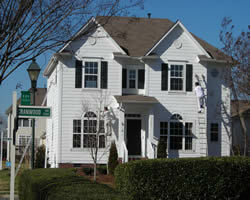 Homes in Birkdale Village range from the low $200s to the high $300s. Looking for Birkdale Village homes for sale? Looking for Birkdale Village homes for sale? Search our local listings database for access to listings in Birkdale Village and surrounding communities. Whether you want to buy or sell Birkdale Village real estate, you can browse through properties or find a wide variety of real estate resources available on this website. If you are looking for a REALTOR® for Birkdale Village, choose Debbie Sloan. As your Birkdale Village real estate agent, Debbie Sloan can assist you with all of your home buying and selling needs. We can provide you with access to the Lake Norman local listings database and offer our experience and knowledge to make the home buying or selling process easier for you and your family. Contact Debbie Sloan today to get your home search started!